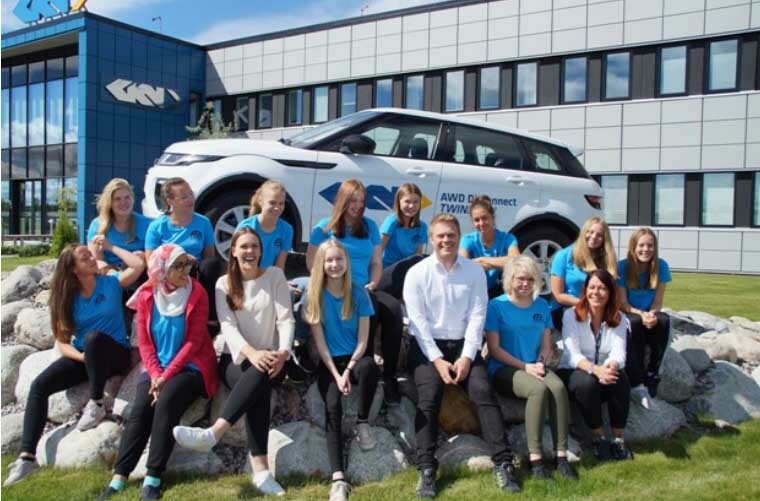 GKN Driveline Köping has collaborated with the local municipality, school and other companies to enable local schoolgirls to learn more about cutting-edge technologies in the workplace. As part of the ‘Technique for Girls’ initiative, 12 students recently visited the facility to learn more about the technology produced in Köping and meet women who work at the plant. The programme is aimed at children who will start Year 9 in the autumn, with a view to boosting the number of girls who go on to study technical education at high school. The concept has been developed by Volvo, GKN, Teknikcollege Västra Mälardalen and KomTek (Kommun Municipal Technology School). The engineering sector faces particular challenges in recruiting and developing women to achieve their full potential. As a progressive company, GKN is committed to promoting gender parity and has set a goal for 2020 that 20% of GKN’s leadership should be women, and in time, 20% should be from under-represented ethnic groups. CEO Nigel Stein believes the shared values of diversity and inclusion empower us all, so across the whole of GKN, targeted career fairs, job opportunities, leadership development and mentorship programs have been created for female engineers and business leaders across all levels. "At GKN, we believe in diversity and are committed to create a working environment where the abilities, differences and achievements of all individuals are valued within an inclusive workplace," he says. GKN seeks to continue to be a great place to work and they pride themselves on being unique, so they certainly need their employees to be different too. This international engineering business offers challenging and rewarding roles across multiple disciplines, and opportunities to develop professional, technical and leadership career paths.